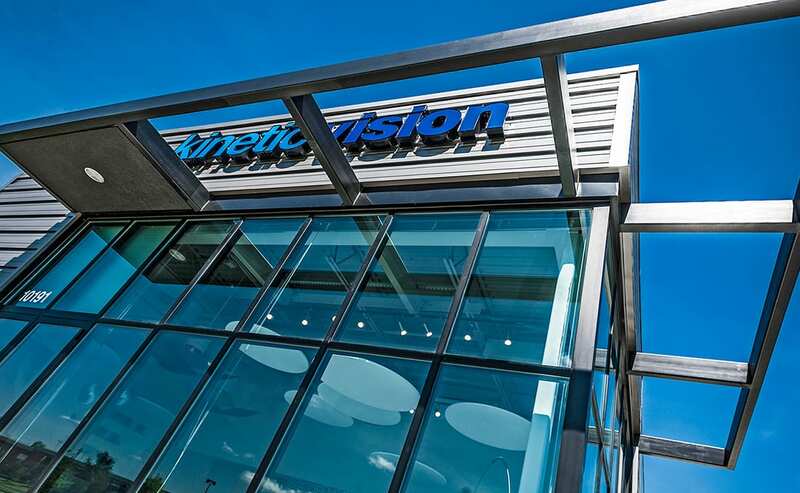 ​To realize the client’s vision of an office building that embodied the innovative nature of their work, Reztark collaborated with Miller Valentine Group as Design-Build Partner to create a design solution that incorporated architectural metal siding, storefront glass, and crisp geometric forms. 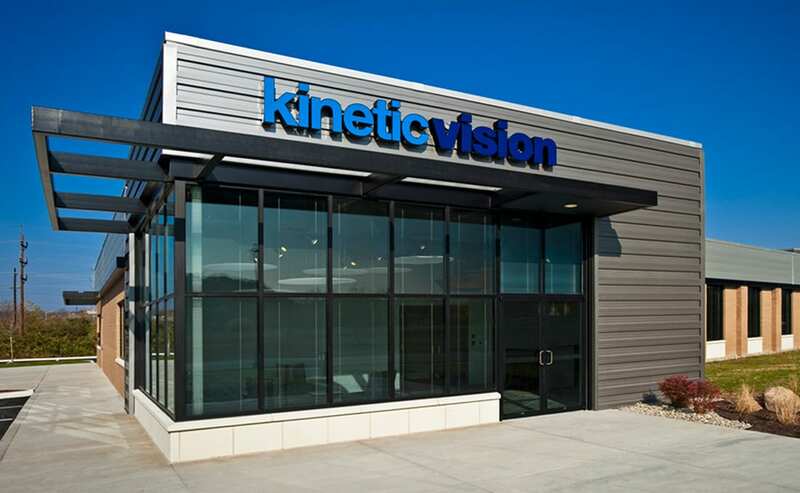 Establishing a design aligned to Kinetic Vision’s brand allowed their clients and visitors to connect with their mission and build a relationship with the company. 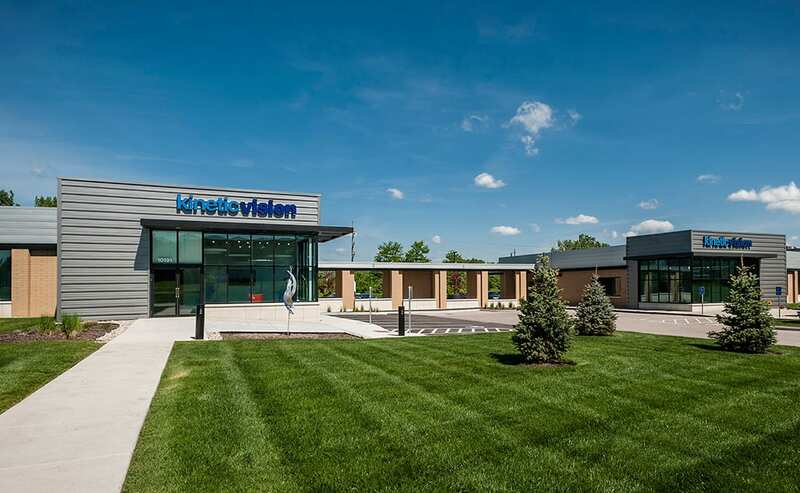 ​The continued success of their business later led to the expansion of their current office space. Almost doubling in size, the addition needed to maintain consistency with the original design. During the design development process, Reztark suggested mirroring the original design to minimize construction costs. Connecting the two buildings through a breezeway not only provided a means to circulate between the buildings but also created a gathering space for socializing and IT connectivity.